Need more information about booking Property 2284710 ? Welcome to Villa Lamunan – we are delighted that you are interested in spending your holiday with us. Established in 2012, our villa offers a refreshingly different style of accommodation – bringing the best of simple, contemporary living designs to the paradise of Seminyak. At Villa Lamunan, we've really paid attention to the little things. From the individually handpicked sculptures and furniture to the luxury imported king mattresses in each of our guestrooms - we don't cut corners. Our design approach has produced a sophisticated and elegant holiday home, offering comfort and privacy enjoyed time and time again by our international guests. 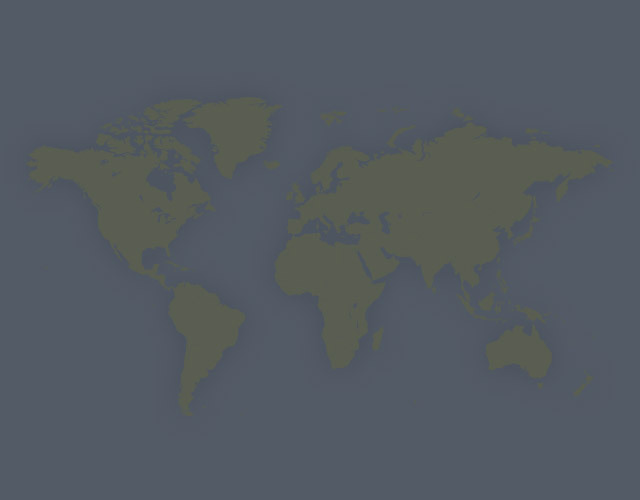 And what about our location? We are situated in a perfect spot – about 100 meters down a quiet lane just off Seminyak's Jalan Legian. Our location does not disappoint – we are safely located, easy to find and we place you right in the mix of Seminyak's best restaurants, hangouts and night life. Every day when you wake, you'll be treated to a spectacular breakfast of various choices including our classic eggs benedict, spicy scrambled eggs and home-made granola to name just a few. We also serve complimentary freshly ground barista made coffee at breakfast everyday. We pride ourselves on serving up what we think is the best breakfast you'll get at any private villa in Bali. But don't just believe what we say – we implore you to check us out on the web and discover the reasons why our guests love staying with us. Those curious can find more information about us on our website and other accommodation sites by google-ing Villa Lamunan. Thank you for your interest in our holiday home and we hope you enjoy our piece of paradise as much as we do. We provide transport to and from the villa and our fantastic driver is on standby for whenever you need him and can be booked at competitive market prices. Please discuss with our team on arrival. Wow! as soon as you go through the huge wooden door you are greeted with a sea of smiling faces and friendly staff. The courtyard is magnificent, swimming pool, gourmet kitchen, LCD TV. The two downstairs rooms are first class, we hurried upstairs to see the other rooms OMG another living area overlooking the courtyard three huge bedrooms with built ins each room as good as the other. Everything about this villa is top class. We had a small problem with an air conditioner not working reported it to the staff they had a technician out within three hours all fixed,(try reporting anything faulty in Australia see how long it takes to get fixed) We had a wonderful stay Breakfast was great 5 choices eggs Benedict was a real crowd pleaser. 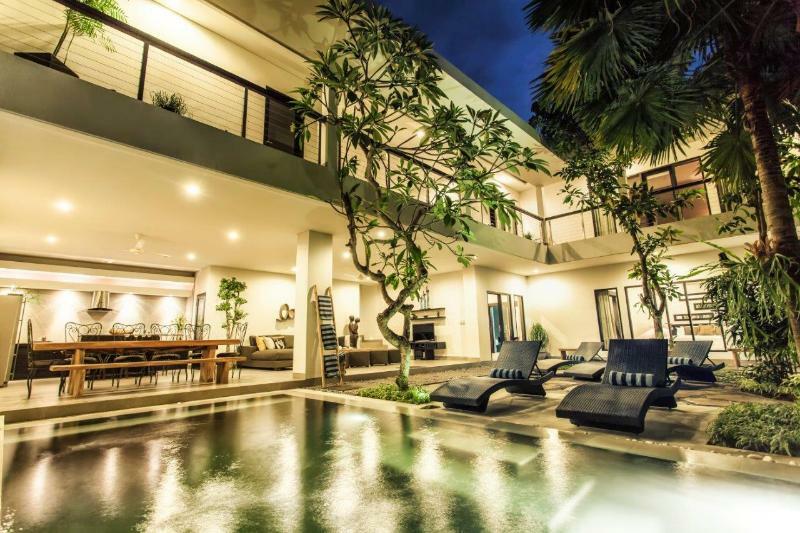 I would have no hesitation in recommending this Villa to anyone wishing to stay in Seminyak. Well done Jackson and staff for a truly memorable stay. I recently stayed here with a group of friends and had a fantastic time. From the moment we walk in the gate we were welcomed with warm smiles, friendly chit chat and a tasty fresh juice! The downstairs open air living areas were really comfortable and adjacent the swimming pool which was heaven. The large air conditioned bedrooms made for a relaxing haven with our own spectacular ensuite. All in all the Villa was better than I had imagined it would be. Thank you! I stayed at Villa Lamunan for my 50th Birthday, celebrating with 7 other women. It was perfect! Location was great, the villa was 5 Star- your own oasis in Bali, and staff were extremely accommodating. Can not recommend it highly enough. Will definitely book again when I return to Bali. We stayed at Villa Lamunan in February with a group of 8 ladies celebrating a 50th. We had the most fantastic time here. Accommodation was very luxurious, with large bedrooms and bathrooms, all quite private from each other. The staff were excellent and catered to our every needs, even arranging for our drinks shopping and a birthday cake. We felt like we were in an oasis in the middle of bustling Seminak, a great place to come back to after a hot and busy day out on the streets of Bali. Would thoroughly recommend this villa for a holiday with a large group of friends or family. A group of 11 mates stayed in this amazing villa for 10 days in October and had the time of our lives. The facilities and amenities were second to none and the amazing and very competent staff catered to our every need, including booking day trips, organising scooters, driving us around, cleaning up after us and cooking us great breakfast each morning. The staff were there 24 hours a day making us feel very safe and looked after. The photos do not do this villa justice from the moment we arrived to the day we left, we were still amazed at how great this villa was. the pool was great and the two massive open plan living areas were great for our large group. Each room had its own en suite and luxurious and comfortable king size beds. It was very close to the main strip of great shopping in Seminyak as well as only be minutes away from the hustle and bustle of Kuta and minutes away from the classy Seminyak/Oberoi eat street and great night spots (including Potato Head, Ku De Ta, Motel Mexicola, and many more). It was also a short 5 minute walk to the great beaches. If you want a place where you can feel safe, looked after and live like kings/queens in a truly relaxing environment I would recommend you stay at the lovely Villa Lamunan, being taken care of by some of the friendliest locals you will meet. A big shout out to all the staff including Atiek (property manager), PJ (driver) and Maxy (security) and all the other cleaning and cooking staff who made our stay truly amazing. Also thanks to Chris Oxley the owner of Villa Lamunan who was very professional, responsive and always available to answer any questions. My wife and I recently stayed at Villa Lamunan with a group of good friends. The venue was perfect for us , with the open living area and kitchen allowing lots for of chatting and relaxing. We had 2 good meals in, which was great, after busy days out. On the other nights staff were helpful in making our bookings. PJ was a great, knowledgeable driver who looked after our transport needs. The bedrooms and bathrooms were spacious and lovely and the local Indonesian statues and carvings added to the relaxed, tropical ambience of the place. Location was good , close to beach, shops and lots of good eating places. We were looked after and very comfortable. Hi - we stayed at Villa Lumanan as a group of 12 girlfriends. Villa is perfect for large groups and I would not hesitate to stay their as a family as well. The staff are amazing. Very accommodating, warm and friendly.I felt very safe and nothing was a problem. One of the stand outs for me (apart from the amazing staff) was the bed and bed linen. I thought myt bed at home was the best, however, I have to say the beds at Villa Lumanan are the most comfortable I have ever slept in and the linen was very luxurious!!! Thanks again Villa Lumanan for a great holiday. On arrival the staff were amazing! As the time past they were incredibly helpful and met all of our needs. The drivers have had excellent knowledge of the area which was very beneficial for us. My husband and I have been to bali three times in the past ten years and this has been the absolute best.the accommodation is so comfortable and very homely. The security guys that have looked after us at night have been very friendly. I hope that we have been well behaved as your guest in Bali. We will miss all of your smiling faces! You'll need to send Chris (the owner) an inquiry to book - the owner will let you know how to pay. If they accept online booking they'll send you a quote and info on how to pay. If you pay through our website you’ll be covered by Payment Protection. Or you can send Chris (the owner) an inquiry through the contact form to request a quote. Chris (the owner) will email you the total cost for your dates and how to pay. Send Chris (the owner) an inquiry through the contact form requesting a quote for your dates. Chris (the owner) will email you the total cost for your dates and how to pay. Chris (the owner) of this property is responsible for taking and refunding your damage deposit. The damage deposit terms should be agreed before booking and outlined in the booking contract, if Chris (the owner) supplies one. Please refer to these details or contact Chris (the owner) directly if you have any questions. You'll need to contact Chris (the owner) to cancel. They should have provided their contact details when you made your booking - otherwise, email them through the contact form. You'll need to contact Chris (the owner) to edit your booking. They should have provided their contact details when you made your booking - otherwise, email them through the contact form.